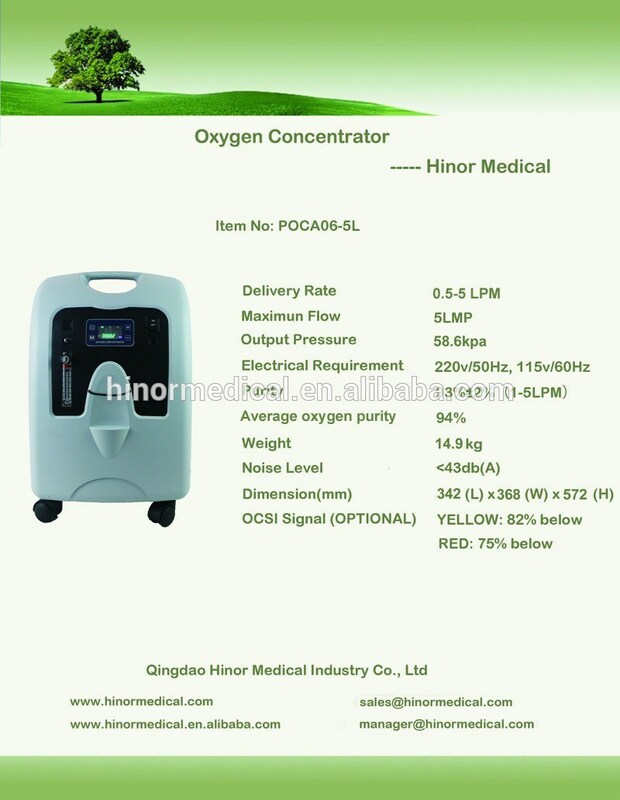 The HINOR POCA06 is aÂ medical portable oxygen concentrator machine for COPD patientsÂ and other oxygen therapyÂ .Max flow rate is 5L with digitalÂ flow meterÂ or normalÂ flow meter, you can choose oxygen OCI function or not. 1.Fashionable design, easy to operate. 2. Lightest in weight;, only about 14.9kgs. 3. Portable, small size, easy to move with caster. 4. PSA technology, no chemical materials; safe and reliable. Q: If the working voltage is for my country? 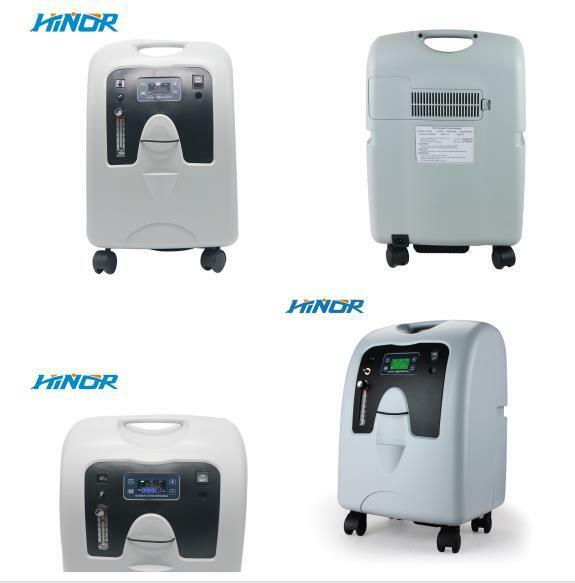 Â Â Â Â For electric oxygen concentrator ,we have 220V and 110V two versions . Q: We have design,can you produce? A: Yes,welcome! 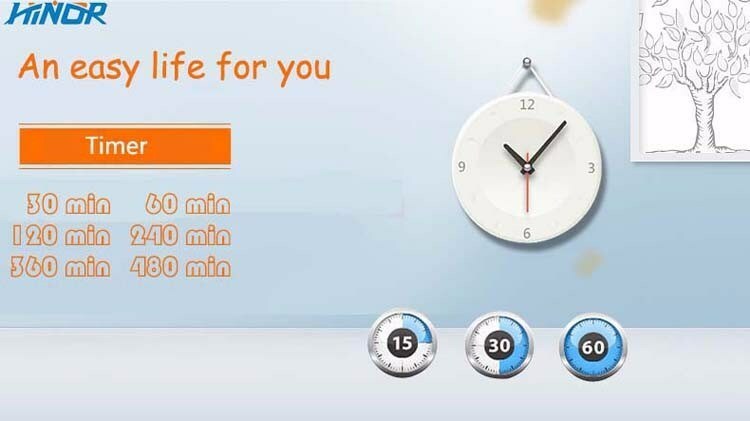 Customize package and OEM printing are available. 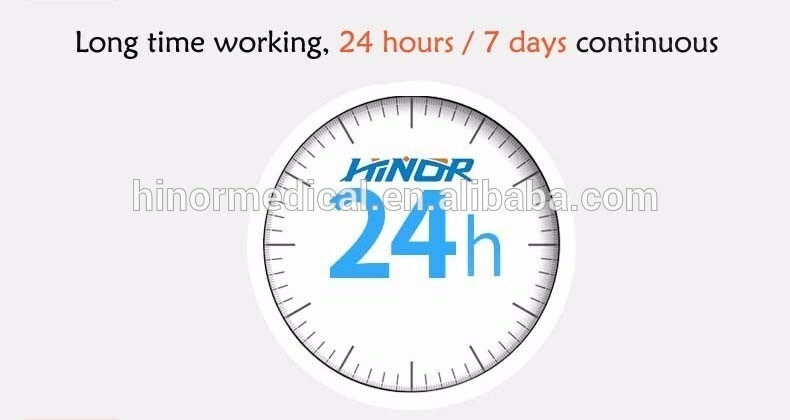 Q: How to ensure the products' quality? A: Samples will be sent to you for test firstly; Each production stage will show you in time ;Â the product quality will be test and show you before delivery. Q: How is your after sales? A: Generally 18 months guarantee. Any damage results from us, we will take responsibility to compensate the loss. "Â Customer" is the first. Q: How can IÂ get aÂ sample? A: The Sample will be shipped out in 7Â working days after we received your payment if no special requirements. Q: Can IÂ book an order if less than MOQ? Chondroitin Sulfate is a kind of acid mucopolysaccharide extracted from healthy, edible and homebred animal cartilage or shark cartilage. It`s composed of Chondroitin Sulfate A, C and other various Chondroitin Sulfate. It is widely presented in fish,mammalian and bird cartilage.Chondroitin Sulfate Sodium is the sodium salt of the sulfated linear glycosaminoglycan. Chondroitin sulfate is widely used as a material for food ingredient, cosmetics, and medicine. Recently, the use of Chondroitin sulfate for the symptomatic treatment of osteoarthritis has become very popular. Our Shark Chondroitin Sulfate is derived from pure Shark Cartilage with a content of 85%, 90% and 95%. Only selects Shark Species which are not on the endangered list, therefore ensuring sustainability of this potential life saving supplement. Shark Chondroitin Sulphates has more effect on human health than Bovine Chondroitin, that is the effect on Eczema and cancer. The 1992 publication of William Lane's book, Sharks Don't Get Cancer, sparked a heated controversy between money-grubbing opportunists and medical orthodoxy. Although sharks do, in fact, occasionally develop cancer, shark cartilage was promoted as a natural "cancer cure" and all around wonder drug. For some clinic experiments, Shark Chondroitin Sulfate also helps to cure Eczema, but it's not scientifically proved. This is a strong natural material to combat cancer.